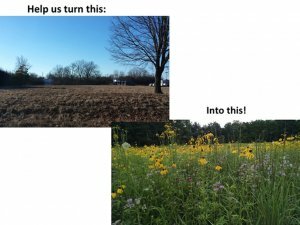 Help restore the front RMC grounds to native prairie land! 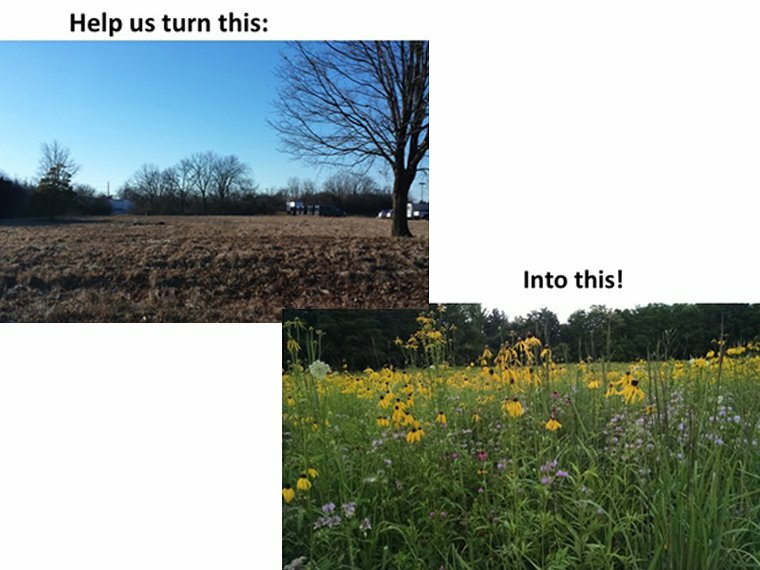 Come join us at the Research Museum Complex (RMC) Saturday, March 23rd, from 12pm-4pm, and help us cleanup and prepare the RMC Prairie restoration site for planting. The RMC is in the process of restoring the front lawn into native prairie grounds. This process includes site cleanup and preparation (March 2019), planting a cover crop (May 2019), and then finally, planting the native pollinator friendly prairie (November 2019)! But first – site cleanup! Plan on wearing clothes you don’t mind getting dirty and bring a rake and gloves if you have them. If you have extra rakes or gloves to share, please bring those as well. Come for part or all of the day. We need as much help as we can get! Throughout the restoration process scientists will be conducting research to examine the impact of restoring native habitat areas and prairie succession on the flora and fauna of associated with this site. Come learn about the restoration project and be part of a community wide restoration effort!